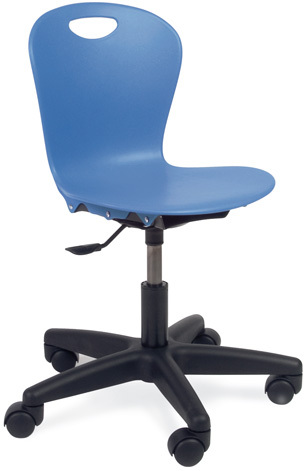 A smaller chair shell and a 14" to 17" seat-height adjustment range make the ZUMA "Junior Keyboarder" ideal for many intermediate school students as well as selected high school students. 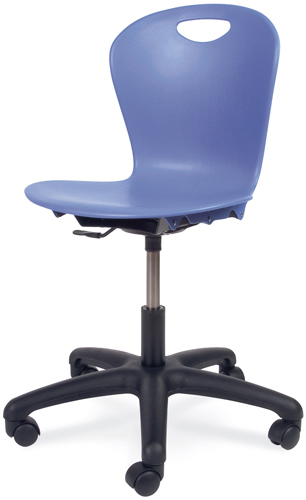 Available with Black or Silver Mist 5-star base and 29 seat colors. Open color palette.